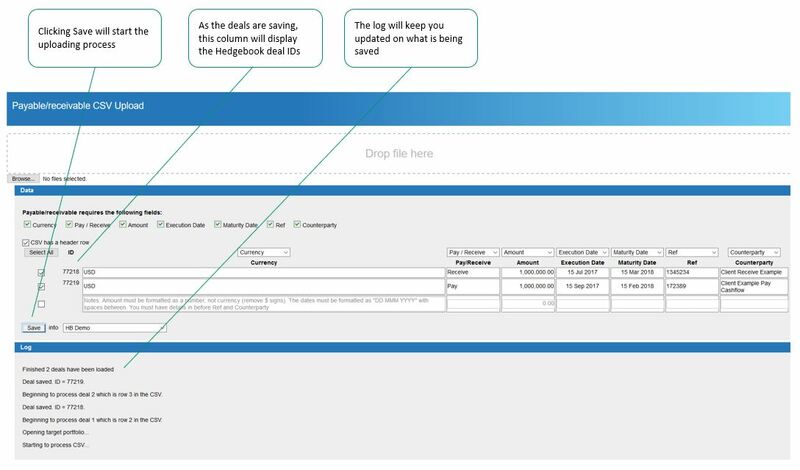 This quick start guide is intended to give an overview of how to use the primary functions within Hedgebook Pro. It is not an exhaustive guide as there is too much within Hedgebook to cover here, however it should get you started on using the key tools. Please also note, when it comes to financial derivatives, there is some variation in how the terminology is used and often multiple names are used to describe the same thing. We have attempted to give some alternatives that you may come across. We have focused on the most commonly used financial instruments. To enter a deal please select the appropriate one from the “Deal Input” dropdown menu. Unless it is stated all fields must have something entered, if you don’t have a reference or counter party just enter in anything. The deal will not save if there are details missing. 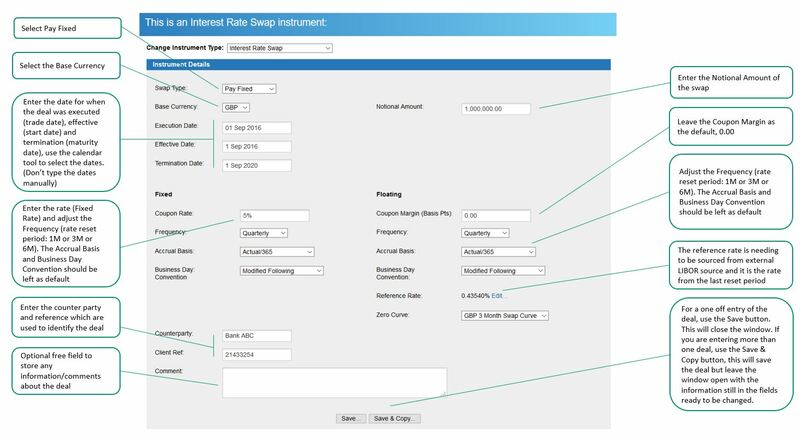 Make sure your CSV file is in the correct format, you can download a template from within the window. 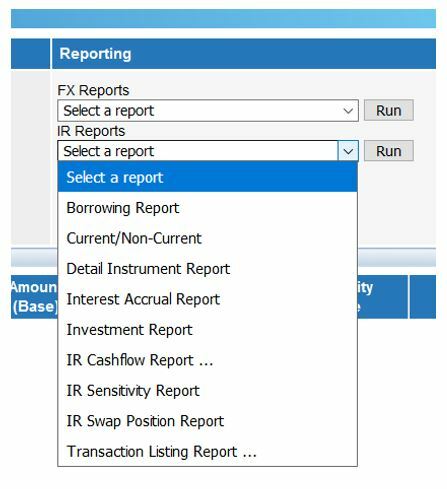 If you have multiple Payable/Receivables (Cashflows) you wish to load into Hedgebook the easiest way is to create a CSV file and load them via the CSV Importer by clicking on the “Import Cashflows…” button. A window will appear with more instructions. 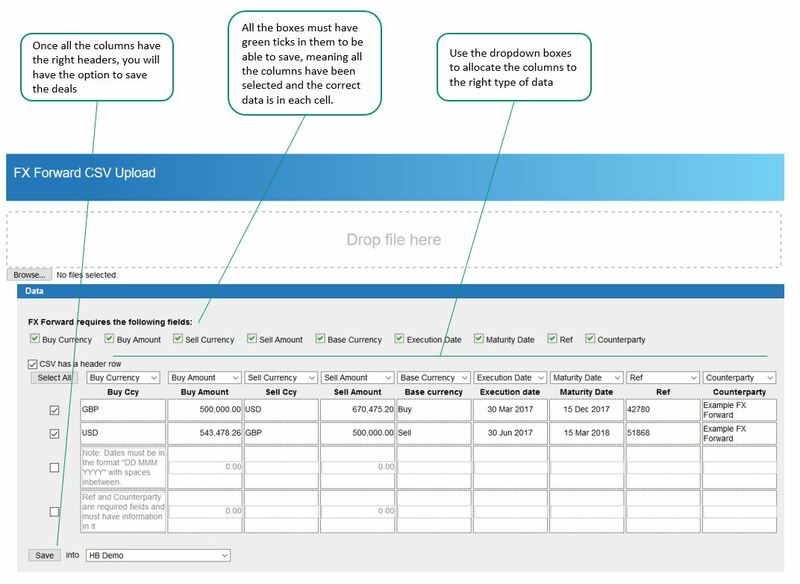 To make sure your CSV file is in the correct format, you can download a template from within the window. 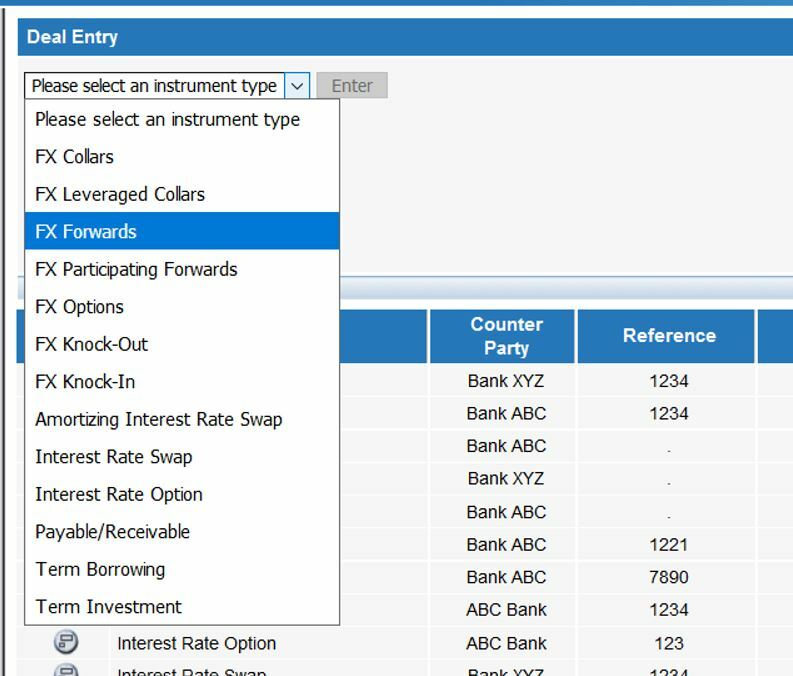 View the instruments parameters: This allows you to quickly view the deals basic parameters, including currency details, contract rates and amounts. 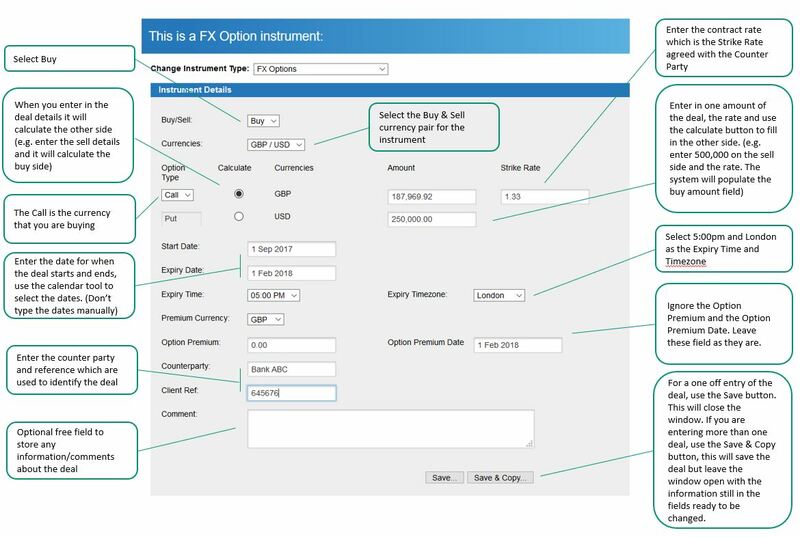 Edit instrument details: Use this tool if you wish to change the details for a particular deal previously entered. Move to trash: Deletes the selected deal from the database. Please note, there is no “undo” for this action. 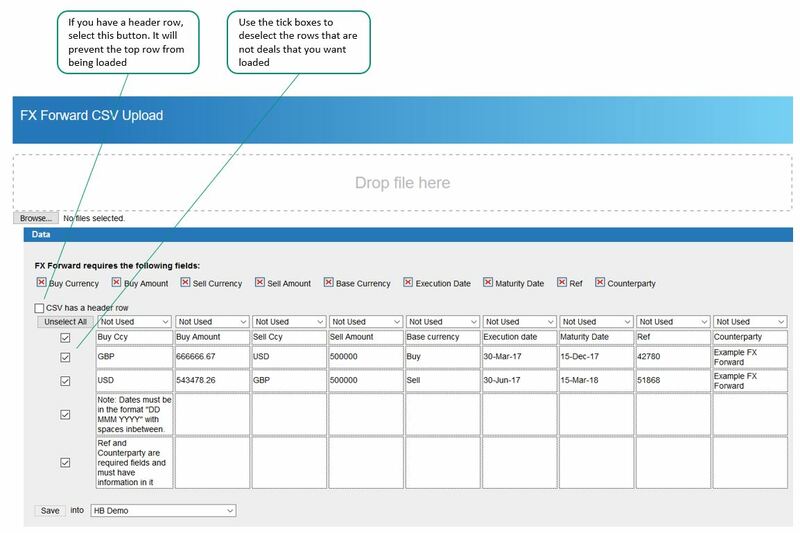 Move to another portfolio: Select this tool to move the highlighted deal to another portfolio you have associated to your account. 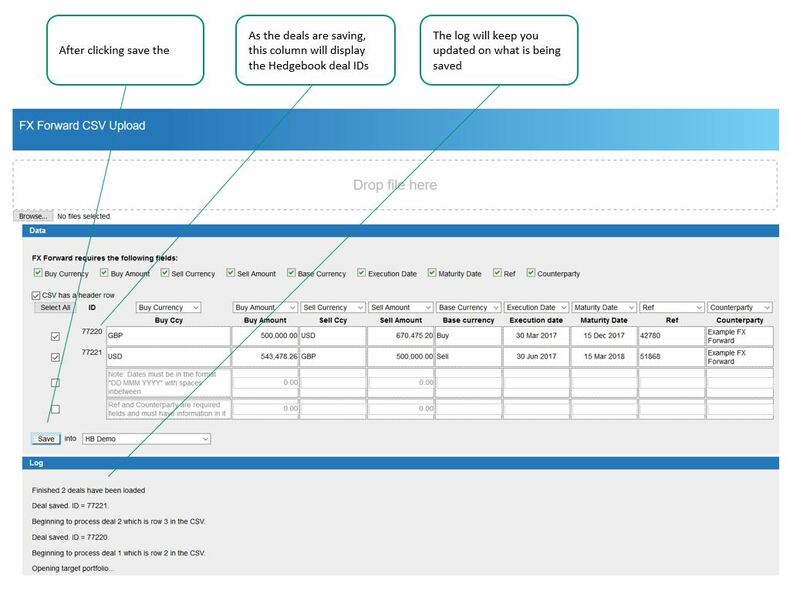 Pre delivery and extension wizard: (FX Forward Only) Not relevant to Audit – provides the option to pre deliver or extend part or all of an outstanding deal. 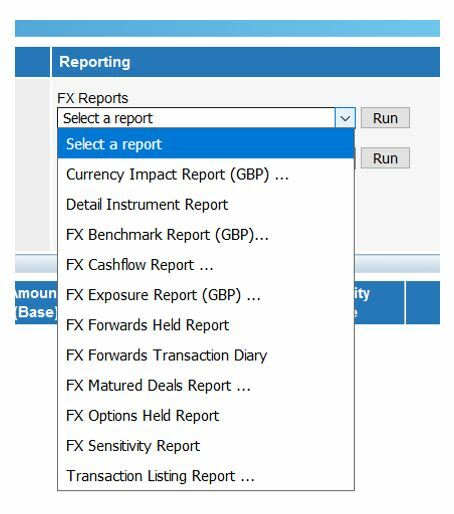 FX Life Cycle Report: (FX Forward Only) Not relevant to Audit – it is a report to show you the life of an FX Forward. 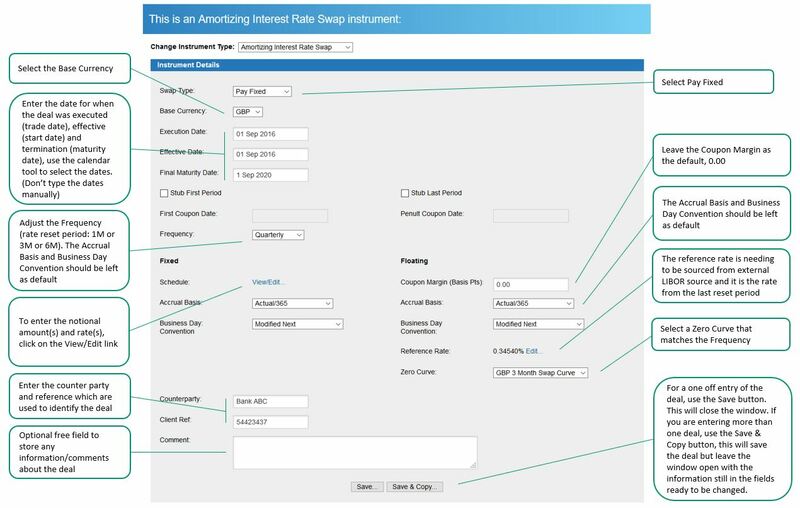 The Instrument Detail Report shows all instruments within a portfolio, grouped by instrument type. 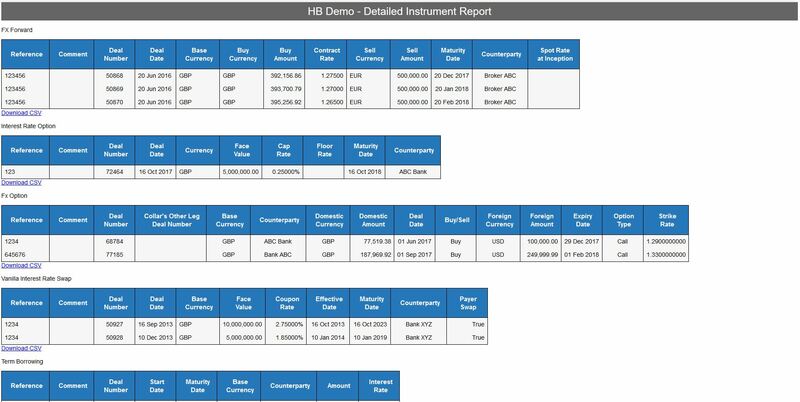 The report shows details used in valuation calculations such as Discount Factor and Market Forward Rate for FX transactions, and Par Swap Rate for Interest Rate Swaps. 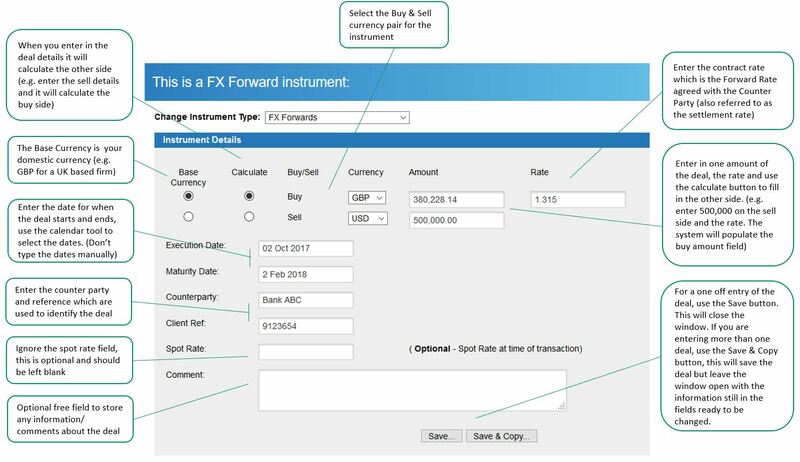 The FX Sensitivity Report is mainly used for FAS161/IFRS7 purposes to show the change in the mark-to-market valuation based on percentage change in the spot exchange rate. The percentage change is currently 1%, 5%, 10% and 20%. 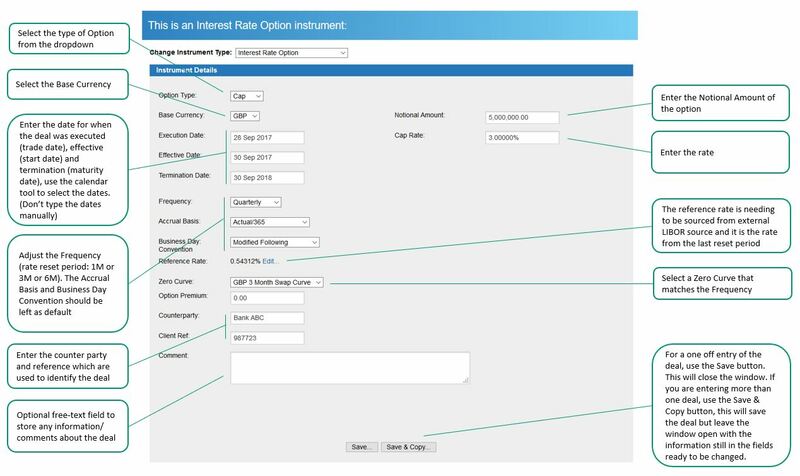 Based on the Valuation Date, Hedgebook calculates which of the cashflows through the life of the swap are an asset (receiving interest), which are a liability (paying interest) and whether the cashflow falls within one year of the Valuation Date or beyond one year. These report provides insight into the transactions that have been loaded into the applications between the selected dates.